Paper • ISBN-13: 9781609809430 • US $15.95 • 112 pgs. Through personal essays, interviews, and poetic verse, punk musician and cultural icon Lydia Lunch claws and rakes at the reader’s conscience in this powerful, uninhibited feminist collection. Oscillating between provocative celebrations of her own defiant nature and nearly tender ruminations on the debilitating effects of poverty, abuse, and environmental pollution, along with a visceral revenge fantasy against misogynistic men, Lydia Lunch presents her exploits without apology, daring the reader to judge her while she details the traumas and trials that have shaped her into the legendary figure she’s become. Inserted between these biting personal essays, Lunch’s thoughtful cultural insights convey a widely-shared desire to forestall inevitable cultural amnesia and solidify a legacy for her predecessors and peers. Her interview with Hubert Selby Jr. and profile of Herbert Hunke, her short unromanticized histories of No Wave and of the late Sixties, and her scathing examination of the monetization of counterculture (thanks, Vivienne Westwood!) all serve to reinforce the notion that, while it may appear that there are no more heroes, we are actually just looking for heroes in the wrong places. The worthy idols of the past have been obscured by more profitable historical narratives, but Lunch challenges us to dig deeper. 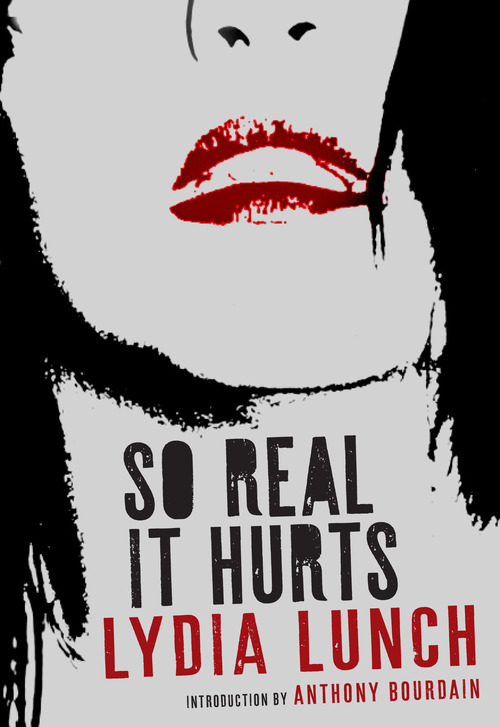 So Real It Hurts pulls the reader into a world that is entirely hers—one in which she exacts vengeance against predators with an enviable ease and exerts an almost-sexual dominance over authority, never permitting those with power to hold on to it too tightly. Hailed by Time Out as “one of the greatest New York performers of all time,” Lydia Lunch defies categorization. Few contemporary artists have forged a unique and varied artistic vision as successfully, or forcibly, during her long and notorious career. Since bursting onto the late 1970s New York City music scene at the age of 16 with her band Teenage Jesus and the Jerks, Lunch has released over two hundred music recordings, either as a solo artist, in collaborations, or as guest artist. The poster-girl for the Whitney Museum of Art’s Underground Film Festival, she has appeared in more than fifty films, including the infamous, gut-wrenching films of director Richard Kern, with whom she worked in the 1980s. As a writer, she has published numerous works of literature, such as her 2007 novel Paradoxia (Akashic), which has been translated into 12 languages. 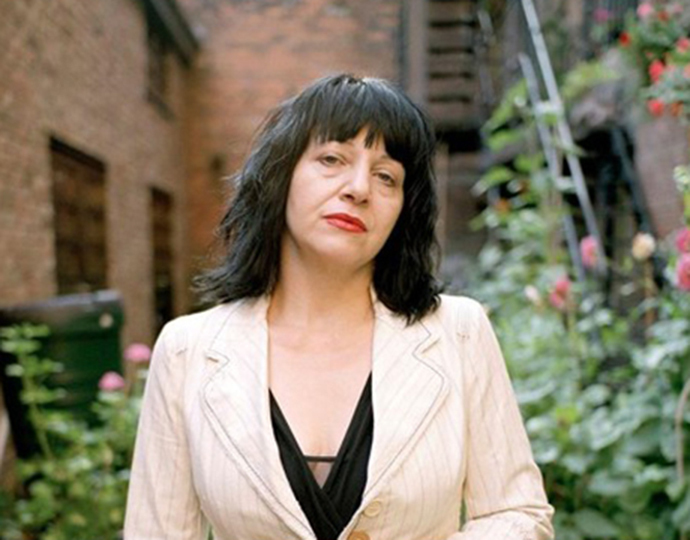 Lunch continues to record and tour the world with numerous music and spoken word projects, film work, and art exhibitions, and is the subject of “Lydia Lunch: The War is Never Over,” a forthcoming feature documentary by acclaimed underground filmmaker Beth B.